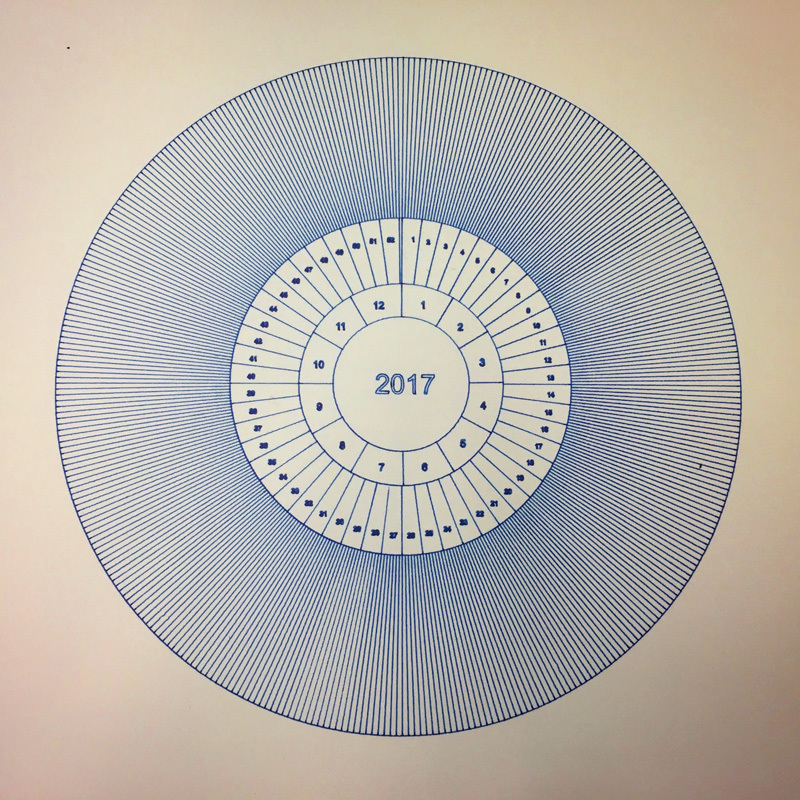 Calendar Clock is a calendar which displays the year in a circular pattern. 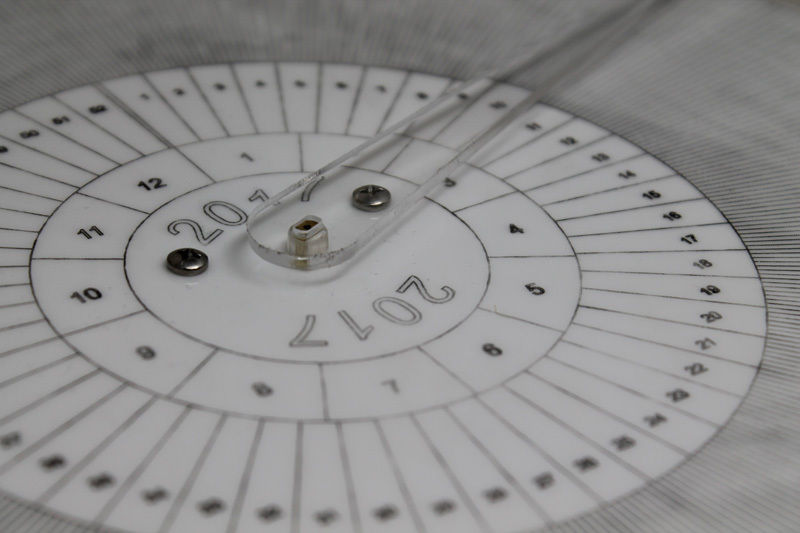 A stepper motor moves the hand so that one revolution takes a full year. 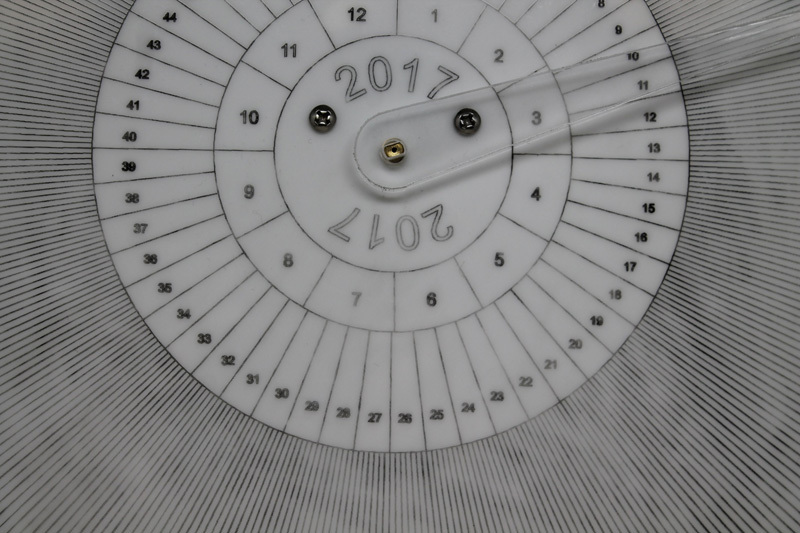 A custom faceplate is generated for each year and etched by a lasercutter.